The purpose of scaling amounts is to improve the user perception of reports with large amounts by scaling down all amounts by a factor of a thousand or a million. 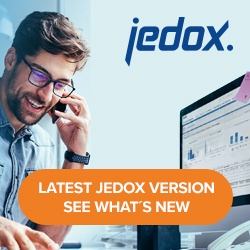 In the context of Jedox models, scaling is implemented as an extension of currency conversion. Scaling can be defined individually per target currency. It does not apply to the local currency (LC). All scaling options are defined by additional elements in the Currency dimension. The naming convention for the scaling options is the following sequence: greater sign (>), followed by a space, followed by either a lowercase k (for scaling in thousands) or uppercase M (for scaling in millions), followed by the target currency code. For example, to scale US dollars in thousands, you would enter > kUSD. The letters k (lowercase) and M (uppercase) conform to the International System of Units and are case sensitive. Only these two letters are valid for scaling. These elements must be base elements at the root level of the Currency dimension. The Name attribute should be defined for these elements (e.g. “In ‘000 US Dollar”). This attribute can be localized. The corresponding target currency element (e.g. > USD) must exist. This example shows the root level of a Currency dimension set up for the target currencies EUR and USD, with scaling options for thousand US Dollars and thousand Euros but without any scaling in millions. For more information, see Setting Up the Target Currencies and Fact Cube using Currency Conversion. Note: after changing the scaling options, the rule templates handling the currency conversion in the fact cubes need to be updated.